My mum used to get me BBC audio tapes from her work (Hancock's Half Hour, that sort of stuff), which I would listen to while I was falling asleep. I still do. And then one day she gave me Knowing Me, Knowing You, a fake chat show presented by Alan Partridge. It was love at first listen. Ten years later I was at the same drama school (Manchester Met) that Partridge's creator Steve Coogan had gone to. That, for me, was enough: I had made it! Many of my friends there felt the same. Our entire humour and way of speaking was almost entirely based on his mannerisms and characteristics. Entire conversations spoken in 'Partridge' to the point that we didn't even know we were doing it. And that often still occurs to this day. I doubt a day has passed in the last 15 years when I have not at some point 'done an Alan'. He is part of my muscle memory and he's seeped into my very fabric. So I have to be careful that Alan's mannerisms don't creep through into Jonathan Pie: I don't always succeed. The best thing is, he's still here, and he just gets better and better. He is more complex and subtle than his younger self (aren't we all?) and once you have bought into Alan's world, he needs to do very little to make you laugh out loud. A simple suppressed look of annoyance or a beautifully timed drop of a brand name ('Dr Pepper? It tastes like fizzy Benylin') or merely repeating a word over and over ('Dan / Inception') can be comedy perfection. 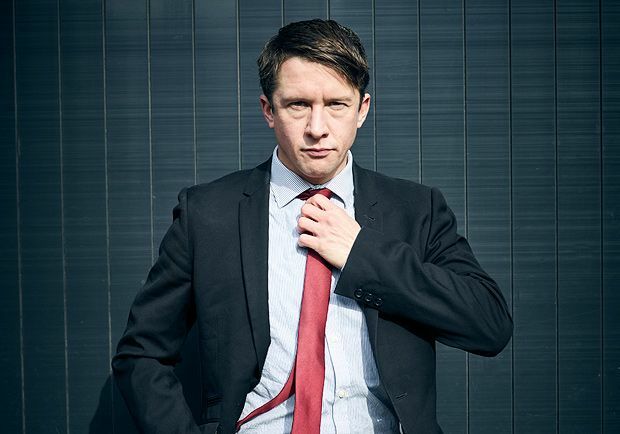 Jonathan Pie: Live is on tour until Friday 3 March.